The first article below is an extensive cut and paste from the New York Times (follow the link for the complete story). I have edited out more from the start of the original piece and highlighted some of the more boring technical or “factual” statements that normally get relegated to the bottom of the journalists pyramid. “Wow, you can even do that!” Alice says of nuclear power. Will these events mark a transition to more questioning approach by the public to the otherwise supine acceptance of authoritarian opinion? Asahi Shimbun (Asahi.com), 25 June. Disappointment toward Tokyo Electric Power Co. for its failure to guard the safety of the Fukushima No. 1 nuclear power plant and anger at the central government's inept handling of the accident. Those are the two major themes that emerge from the results of an interview survey of 407 evacuees from the Fukushima nuclear accident. About 90,000 Fukushima residents have evacuated because of the nuclear accident, with about a third of that number moving outside of the prefecture entirely. While TEPCO may have provided many Fukushima residents with jobs, the nuclear accident has turned many evacuees against nuclear energy.When asked their opinion on the use of nuclear energy, 70 percent of respondents said they were opposed while 26 percent said they were in favor of nuclear energy.While the survey methods and sample sizes are different, those results are much more anti-nuclear than a nationwide poll conducted by The Asahi Shimbun in June in which 37 percent favored the use of nuclear energy and 42 percent opposed it. Having young children was an obvious reason for not wanting to return to Fukushima. A 37-year-old woman left her home in Minami-Soma with her husband and one-year-old son even before the region was designated as a potential emergency evacuation zone. Whenever her son has health problems because of the unaccustomed evacuation life, the woman blames herself for giving birth at such a difficult time. "No matter how much they say it is safe, there is no way we can believe them ever again," the woman said.The deep disappointment felt by many of the respondents is due to the fact that many believed TEPCO and other experts who repeatedly said Japan's nuclear power plants were safe and that no accident would ever occur. Anger at the central government was due in major part to the confusion over evacuation instructions in the immediate aftermath of the accident. A number of evacuees said they were given conflicting or incomplete instructions that made it difficult to understand where they should flee to. A 72-year-old woman said, "Information that radioactive materials had spewed from the plant was only transmitted later. If I had known about it earlier, I would have evacuated much farther away." A woman in her 60s from Namie said, "Not being informed about radiation, I was told to go to a location that had dangerously high levels of radiation." As a result of such experiences, a total of 80 percent of respondents said the government's response was either totally inappropriate or somewhat inappropriate. With life in evacuation centers now exceeding three months, close to half of the respondents said their health had worsened as a result. When workers are put at risk they must be hailed as heros, whether they had a choice or not or new the risks. A decade and a half before it blew apart in a hydrogen blast that punctuated the worst nuclear accident since Chernobyl, the No. 3 reactor at the Fukushima nuclear power plant was the scene of an earlier safety crisis. Then, as now, a small army of transient workers was put to work to try to stem the damage at the oldest nuclear reactor run by Japan's largest utility. At the time, workers were racing to finish an unprecedented repair to address a dangerous defect: cracks in the drum-like steel assembly known as the "shroud" surrounding the radioactive core of the reactor. But in 1997, the effort to save the 21-year-old reactor from being scrapped at a large loss to its operator, Tokyo Electric, also included a quiet effort to skirt Japan's safety rules: foreign workers were brought in for the most dangerous jobs, a manager of the project said. "It's not well known, but I know what happened," Kazunori Fujii, who managed part of the shroud replacement in 1997, told Reuters. "What we did would not have been allowed under Japanese safety standards." The repeated failures that have dogged Tokyo Electric in the three months the Fukushima plant has been in crisis have undercut confidence in the response to the disaster and dismayed outside experts, given corporate Japan's reputation for relentless organization. The workers who stayed on to try to stabilize the plant in the darkest hours after March 11 were lauded as the "Fukushima 50" for their selflessness. But behind the heroism is a legacy of Japanese nuclear workers facing hazards with little oversight, according to interviews with more than two dozen current and former nuclear workers, doctors and others. Report From Tokyo: No News Is Good News? Controlling information flow in a crisis is crucial to its outcome. So it should come as no surprise that much information received about how the crisis at Fukushima unfolded has been kept away from traditional and social media as long as possible. In the end, however, the truth does come out. One of my favorite truths this week was the acknowledgment by the Tokyo Electric Power Company (TEPCO) that 69 workers who worked at reactor #1 at the Daiichi Fukushima nuclear power plant in March "cannot be found." This means that these individuals, who may have been exposed to high doses of radiation, cannot be located for testing. Was this a case of "sloppy paperwork" or something else? Either way, one wonders how long and why this was kept from the public eye. While many are no longer surprised to see this sort of thing occurring in Japan, it becomes even less palatable when it happens on the global stage. Take the case of International Atomic Energy Agency's (IAEA) recent decision to hold talks about the Fukushima disaster behind closed doors. But the picture emerging after three months of radiation release is nothing to laugh about. The June 17th edition of Science magazine reports that radioactive cesium (both 134 and 137) has spread over 100 miles from the plant and now affects an area southwest of the reactors with a large pocket of contamination further south to the outskirts of Tokyo.Not telling the truth gives traditional and social media pundits much to write about and makes the pain last longer when it is revealed. Let us hope that more of those with inside knowledge prioritize the people more than they do their entrenched interests. 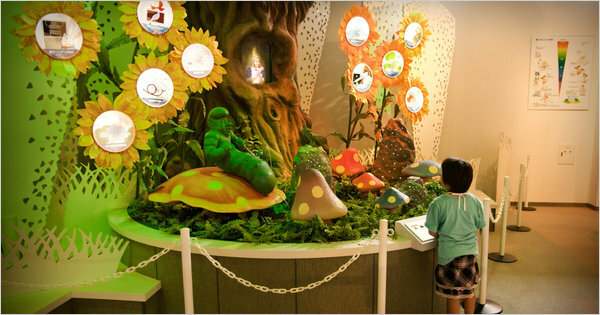 For an amusing expat view from Japan of the events try Spike Japan. 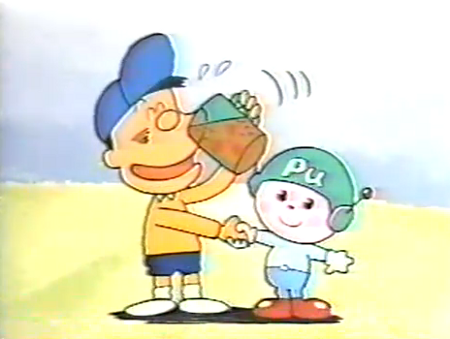 Read the article about Pluto kun (Plutonium Child) and the bizarre world of TEPCO PR aimed specifically at children After the earthquake: So farewell then, Plutonium kun. “I’m hardly absorbed by your stomach or intestines and I’m expelled by your body, so in fact I can’t kill people at all”.